Americans across the country celebrate Veterans Day on November 11, a special day to salute the men and women who have bravely served our country in the military. These fellow Americans have made profound sacrifices in defense of freedom and they deserve our heartfelt thanks and appreciation. 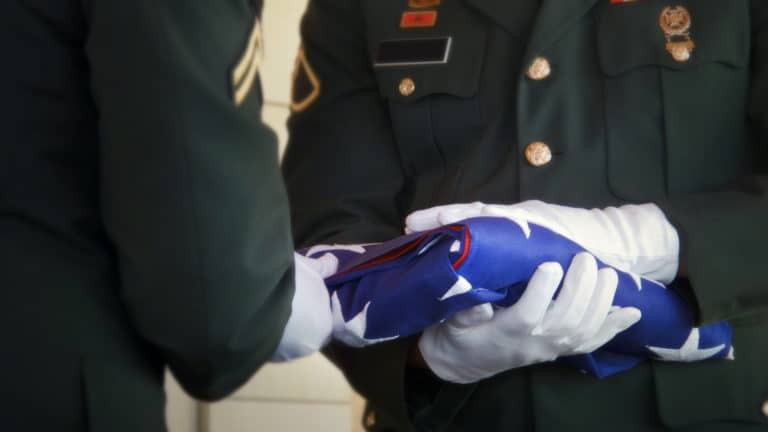 Honoring our nation’s Veterans includes supporting them throughout their entire lives, especially at the end. As our nation marks Veterans Day on November 11, Heart ‘n Home Hospice wants to share its commitment to increase Veterans’ access to compassionate, high-quality hospice care for those who are facing serious and life-limiting illness. As part of this commitment, Heart ‘n Home Hospice is a part of an innovative program, We Honor Veterans, developed by the National Hospice and Palliative Care Organization in collaboration with the Department of Veterans Affairs. Through We Honor Veterans, we are ensuring that our organization is equipped to address the unique needs of our nation’s Veterans. It surprises many Americans to learn that every day, 1,800 Veterans die. That’s more than 680,000 Veterans every year – or 25 percent of all the people who die in this country annually. A generation of World War II and Korean War Veterans are facing end-of-life care decisions now, and they are quickly being followed by younger Vietnam War Veterans, many of whom are confronting serious illnesses at an even earlier age. The liberty that we, as US citizens, enjoy comes at a price paid by these valiant men and women. Let each of us make sure we do our part to recognize and support them throughout their lives. If you know a Veteran who is in need of the special care hospice brings to people facing serious and life-limiting illness, please reach out and help them learn more about the services that hospice can provide. Contact us at gohospice.com to learn more about the ways we support our nation’s heroes. To all our nation’s Veterans, thank you.